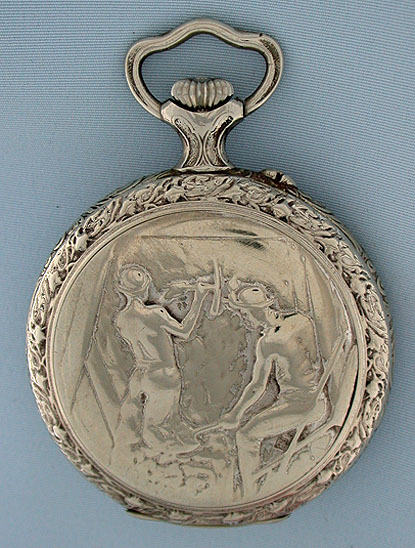 Unusual Swiss nickel antique pocket watch with mining scene circa 1900. The case (pocket wear) with decorated bezels, pendant and bow. 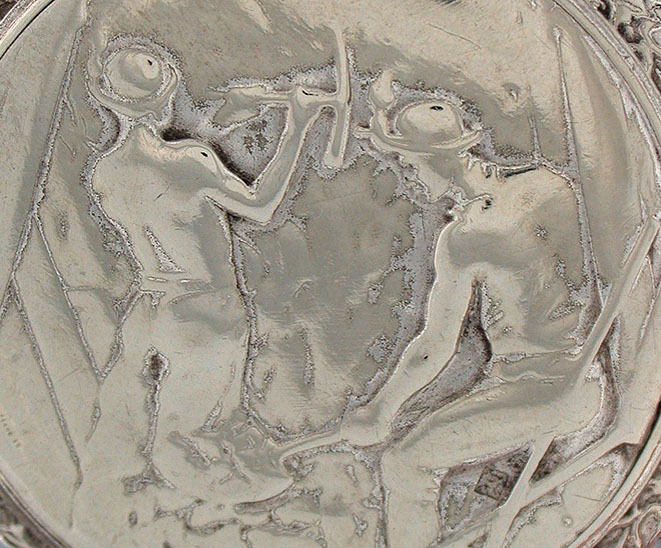 The back with a scene of two miners. 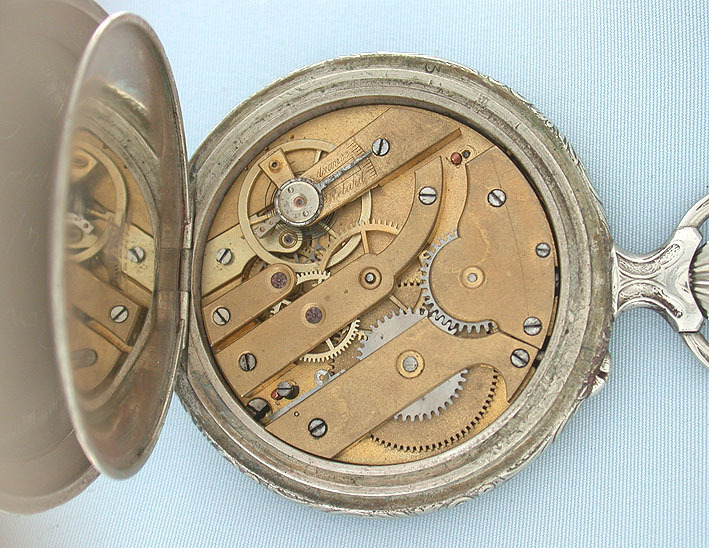 Faded gilt 10 jewel cylinder movement. Inscription dated 1935. 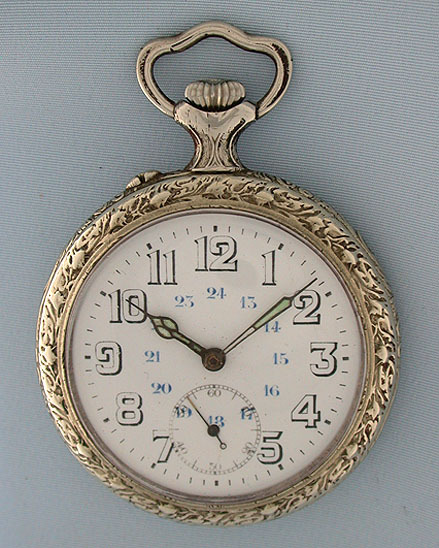 White enamel 24 hour dial.